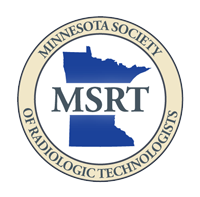 The first meeting of the Advisory Committee for the X-ray Rules Revision of Minnesota Rules, Chapter 4732 will be held January 31, 2017, 1:00 - 3:00 pm. This is a public meeting with limited seating. If you are interested in attending and observing the Advisory Committee Meeting, please contact Kelly Medellin at kelly.medellin@state.mn.us or 651-201-4568. The Minnesota Chapter 4732 X-ray Rule process is moving forward. Next up in the process will be a review of this summary by a rule writing committee and the beginning of the rule drafting process. Updates on this rule writing process will be made available on the MDH website, including meeting minutes from the rules drafting committee. As these rules directly affect our profession, the MSRT will be keeping a watch on this process and keeping membership informed. Here are all the items from 2016 MSRT Fall Conference Legislative Committee display. Contact us for more information or to learn how you can help with any of our new initiatives. The Minnesota Department of Health began the process of rewriting the Chapter 4732 x-ray rules. This is a process that could take up to two years. These rules are the majority of x-ray regulations that directly pertain to our profession. Below is a link to the MDH website, which explains more about the process and offers ways to submit proposals for changes to the rules. Submit your comments to ask CMS to include language in the proposal that would require that only registered radiologic technologists perform radiography procedures billed within the Medicare system. There are two proposed rules: the physician fee schedule and hospital outpatient prospective payment system. Please submit comments for both proposals.